I LOVE the miniature deep fryer baskets! 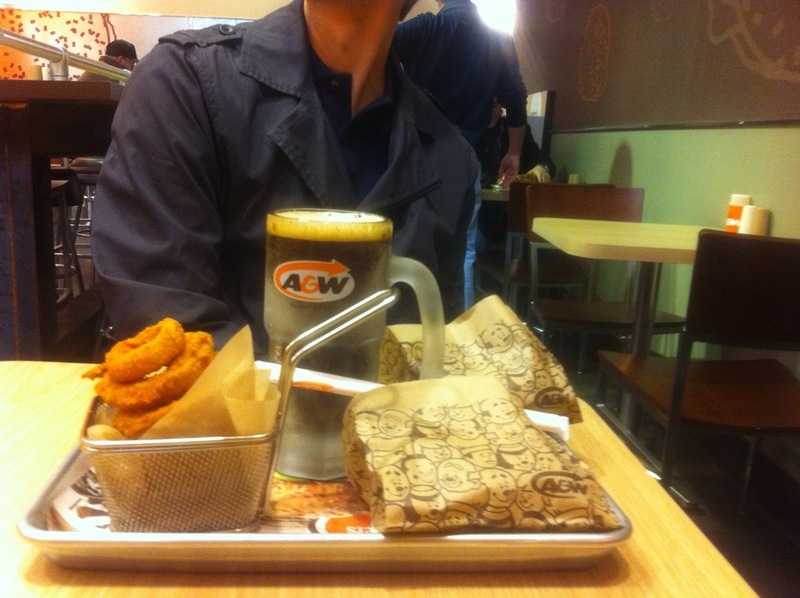 They use them to hold the onion rings. The trays are also quarter sheet pans instead of the regular plastic ones. Now I have to figure out where to get those little fryers from.